As a newly published author, I’ve found the review game an interesting one. Are all reviews good (1 star to 5 star)? What about paid-for reviews or even fake ones? What does this mean for an author? I’m hosting book marketing consultant Rachel Simeone, with ZetaBlue Marketing, as she tackles the whole review question. I have not worked with Rachel personally but found her information valuable and am happy to have her guest blogging today. With all the recent news about fake reviews on Amazon, a number of my clients have asked me if it is still useful to worry about getting reviews of their books. It is for several reasons. First, even though readers are going to look at reviews with a more skeptical eye, they still offer the best “inside information” about your book. Readers who doubt the veracity of the five star reviews will simply begin to look at reviews differently. They will spend more time looking at three and four star reviews, pay closer attention to longer, more detailed reviews, and be more likely to trust reviews by top Amazon reviewers. But these differences will not change the simple fact that they are still reading reviews. Second, there are a number of book sites out there that will list self-published books for free, provided that they have 10+ reviews with a review average of 4 or higher. Since today’s authors need all the free publicity they can get, these sites are an important source of potential readers, provided that you can get the reviews. Third, new, positive reviews are newsworthy events that you can share on your blog, Facebook, Goodreads, and Twitter. With each positive review, you are building in the mind of your prospective reader the perception that your book is a quality read. Finally, good reviews create momentum. The more reviews you get, the more people notice, take a chance, and buy your book. The more sales you have, the better rank you get. The better your rank, the more potential readers see your book. And once those potential readers peruse the reviews, the more likely they are to buy your book, thus continuing the cycle. So, given that getting authentic reviews is more challenging than ever, what is a poor author to do? Friends and family – All writers hope that close friends and family will help them out by reading their book and reviewing it. I suggest that you formalize this process. Send out an email to your friends and family offering them a copy of your book in exchange for writing a review by a specific date. Send follow-up emails to those who request a copy reminding them of their commitment and the upcoming date. Goodreads – Goodreads is an important site for a number of reasons, not the least of which is as a source of reviews. Each time you run a Goodreads giveaway, you end up with a list of people who want to read your book. Contact some of them and ask them if they would be willing to write an honest review of your book in exchange for a free copy. Other authors – There are a lot of other authors out there who also need reviews. Find some authors who write in your genre and offer to do an honest review exchange. This approach can be a bit trickier, because you never want to write a completely negative review of a fellow author’s work. To avoid this problem, be sure to read an excerpt of the book before you agree to write a review of a book. If you see poor spelling, bad grammar, or sentence fragments and fear that you won’t be able to leave a semi- positive review, don’t agree to write one. Don’t leave getting reviews to chance. With new clients, I generally spend the first two months actively pursuing 10 – 15 reviews for each of their books before the real marketing starts. Don’t skip this important step. Start actively pursuing reviews today. What are your thoughts? What do you think the value is in getting reviews? Do you think an author should pursue paid reviews? 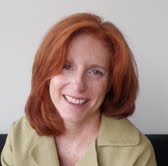 Rachel Simeone is a book marketing expert with over 20+years of experience in Internet and consumer marketing. Implementing proven marketing strategies, Rachel develops customized marketing programs that attract readers and deliver sales. She is known for her innovative ideas that exploit hidden opportunities to give authors a marketing advantage. Previously, Rachel held strategic marketing positions at Time, Inc., Williams-Sonoma, and Gump’s, where she developed marketing programs and implemented best practices for America’s leading brands. If you are interested in maximizing your book sales and taking your marketing to the next level, contact Rachel today. This entry was posted in Marketing and Promotion, Publishing, Social Media, Writer's Life and tagged Book Reviewers, Book Reviews, Rachel Simeone, ZetaBlue Marketing by Greg Johnson. Bookmark the permalink. I currently have a Goodreads giveaway going on and I love the idea of offering a free copy in exchange for a review! Great idea. Interesting insights and perspective. I’ll definitely take much of this into consideration for my upcoming book release. Thanks for sharing, Rachel and Jordyn. Glad you found it helpful, Anita. I’m totally going to start leveraging Goodreads more effectively. Thank you for the giveaway idea for reviews. Me too, Kimberly. I don’t think I’ve used Goodreads nearly to it’s full potential. Thanks for the expert advice, Rachel and Jordyn. You’ve given me good ideas for places to look for book reviewers. Just want to add my thanks. We’re all looking for ways to market books, and we all want more reviews! Jordyn – I really appreciate your posting this very interesting article by a marketing authority/professional. I’m not an author – just a little lady that enjoys reading and has begun to blog and review books. I enjoyed reviewing your first book, Jordyn. Now about what Rachael has stated about the value of utilizing book reviews as marketing strategy for your books. I agree completely. And here is why….. It has long been known that “word of mouth” is the most valued, effective, and least expensive form of marketing that man has used through the years to promote anything. I work in Development in a private school and am responsible for advertising. Lots of dollars can be poured into the variety of advertisement that is needed to get one’s name out there. But “word of mouth” is virtually free for us and exceptionally valuable. Book reviews are much like “word of mouth” advertising. Little or no cost and when “true” it is respected and beneficial. So I agree that book reviews are a good way for authors to get their name and the name of their book out there. Great points, Vera! Thanks for the comment. So true– word of mouth spread is the lifeblood of any author. And– of course, I’m glad you enjoyed Proof. I like what you had to say about the importance of three and four star reviews. Thank you. Suggestion: If the authors can somehow post the “publisher” of their book when it is listed as a goodreads.com giveaway it would help those interested in entering the giveaway. Example: When I see a book I think is interesting, I check it out on Christianbook.com first. Then Barnesandnoble.com and finally amazon.com. I try to get an idea if it is something I would read (from my preference for Christian publishers and authors). Next: Consider the giveaways on librarything.com as well. It is a large book site such as goodreads.com. I prefer goodreads.com but librarything.com has a huge following.